Researchers at a university in Scotland have developed a test that they say could save thousands of lives by diagnosing sepsis in two and a half minutes, faster than existing methods, according to a new study published in the Biosensors and Bioelectronics journal. It uses a biosensor device to test for interleukin-6 (IL-6), one of the protein biomarkers of sepsis, in the blood. “We’ve developed a needle shaped sensor with different electrodes and have shown we can detect one sepsis biomarker in almost real-time, at the clinically relevant levels,” said Dr Damion Corrigan, from the university’s Biomedical Engineering department at the University of Strathclyde. “When levels go up, as they do in sepsis, we can detect that too. Sepsis is quite complex and difficult to diagnose but IL-6 is one of the best markers. 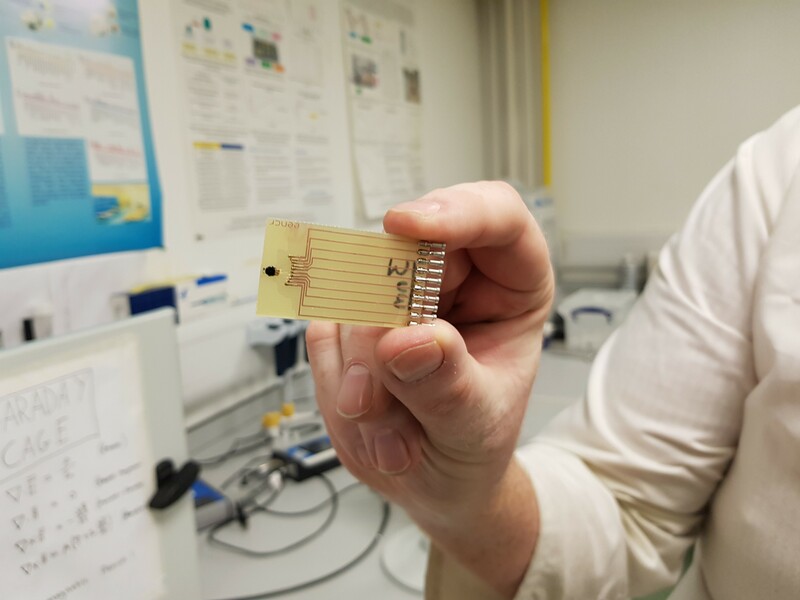 “Our research so far shows you can measure a single sepsis marker, but there are actually eight sensors on the needle, each about the same diameter as a human hair and the idea is that in the future we can get multiple markers on the one microchip for a more comprehensive test,” Dr Corrigan explained. Sepsis is normally diagnosed by monitoring body temperature, heart rate, breathing rate, and taking blood samples, but these have to be sent to a central laboratory to be processed, which can take between 12 to 72 hours. With early diagnosis and the right treatment, the UK Sepsis Trust says most people can fully recover. “The type of test we envisage could for example be at the bedside and involve doctors or nurses being able to monitor levels of sepsis biomarkers for themselves. “If GP surgeries had access they could also do quick tests which could potentially save lives. It could also be available in A&E departments so that anyone coming in with a question mark could be quickly ruled in or out,” Dr Corrigan added. According to figures from the UK Sepsis Trust, 52,000 people die every year from sepsis in the UK alone, and the charity believes that earlier diagnosis and treatment of sepsis “would save at least 14,000 lives a year”. “Systems like this are so important as, with every hour before the right antibiotics are administered, risk of death increases. “No test is perfect in the identification of sepsis, so it’s crucial we continue to educate clinicians to think sepsis in order to prompt them to use such tests,” said Dr Ron Daniels, CEO of the UK Sepsis Trust. The BBC reported that the researchers had now applied for funding to develop a prototype. Previous articleFast Food Versus Fast Casual—Which Has More Calories? Next articlePodcast: KHN’s ‘What The Health?’ How Safe Are Your Supplements?